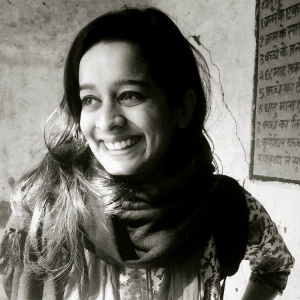 Prerna is the founder of Outline India, an organisation about social impact through data. In three years of operations, focusing on the development sector, Outline India has worked across 17 states and reached out to over 15,000 people (12,000 of whom are from rural and remote parts of India) on the ground one-on-one and generated over 3000 days of employment for individuals with little or no college education. Prerna believes that by working with academics, think tanks, universities and by extension, the Government, and via our connect with people, Outline India can catalyse the process of social change. Outline India engages in providing on-ground intelligence such as data collection, monitoring and evaluation, piloting interventions, analytics and generating qualitative and quantitative insights. The work of Outline India feeds into policy analysis, fund disbursal of donor agencies, philanthropists looking to invest, CSR agencies, academics designing interventions, among other things. Prerna holds a Master of Arts degree in Economics from Boston University. 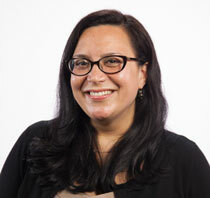 Her prior research includes work at the Centre for Policy Research, Harvard, and MIT. A true cultural entrepreneur, Neha is the Founder- Director of Sarvam Foundation. Neha lives by the maxim that if you don’t stand for something, you fall for everything. She stands for proudly showcasing the ancient but ever new and ever fresh face of Indian culture to its own people and to the world. She is a senior disciple of the legendary Guru Padma Bhushan Dr. Saroja Vaidyanthan. An empanelled artist of the Indian Council For Cultural Relations, she has performed widely in India and abroad. 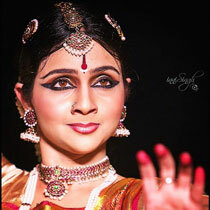 She is also the scholarship for Bharatanatyam by the Government of Delhi for the year 2012-2014. Neha speaks and writes on culture frequently. She was voted as ‘the top ten people to meet’ at the famous TED Conference in California 2013. She is a TEDx Curator and has also been a Speaker at a few TEDx conferences. A Masters and a Bachelors in Political Science and International Relations, Neha had worked with Dr. Shashi Tharoor, Minister and Member of Parliament from 2009-2012. She is also the youngest Rotarian in Delhi. Tess Maunder is a contemporary art curator and writer based in Brisbane. She currently works as Public Programs and Publications Officer at the Institute of Modern Art. In this role she has worked with internationally renowned contemporary theorists, curators and artists in the delivery of exhibitions, public programs and publications for the institution. In 2012, Tess started her own publication called The Maximilian, with peer Laura Brown and has since, used the publication as leverage to begin a publishing partnership called Approximating with other editors from Indonesia, The Philippines and India. In 2012, she was awarded the Art and Australia writers program, and was mentored by Rachel Kent, Chief Curator of the Museum of Contemporary Art, Australia. In 2013, Maunder participated in the 5th Gwangju Biennale International Curator Course in South Korea. Also in 2013, she was selected to represented Australia at the Independent Curators International Course held at Mori Art Museum, Tokyo. In 2014, the Queensland State Government honoured Tess for her achievement to the arts. 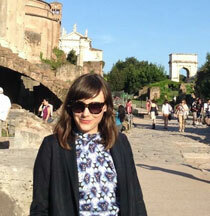 Tess has an independent curatorial practice and regularly writes art criticism and contributes to publications. Tess is interested in thinking about contemporary art as an avenue for broadening social awareness and cultural understanding. 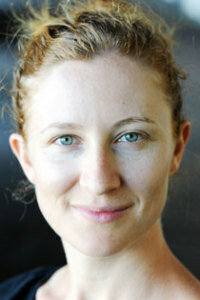 Ruth Barker is the Senior Manager for International Engagement at Creative Victoria. She provides advice on, and develops opportunities for, Victoria’s creative sector to work and deliver projects internationally. As part of this role, she developed and delivered Australia’s first creative industries overseas delegation, accompanying the Minister for Creative Industries and Directors and CEOs of Victoria’s major creative and cultural institutions to China to develop new institutional and commercial relationships. In a previous position as a Senior Advisor on international relations at the Department of Premier and Cabinet (Victoria), Ruth planned and delivered international travel programs for four Premiers as well as advised on country and regional strategies, trade mission programs and free trade agreements. Ruth has also held roles within the Department of Premier and Cabinet and the former Department of Industry, Innovation and Regional Development advising on economic policy, trade and industry policy and international engagement. Prior to joining the Victorian Government, she held roles at Transurban in government and corporate relations. Ruth holds degrees in economics and international relations, with a specialisation in South East Asian studies. She has a deep love of all things India and loves the drama, excitement and infectious nature of Bollywood films. Ruth has spent years living in, and travelling around Asia. 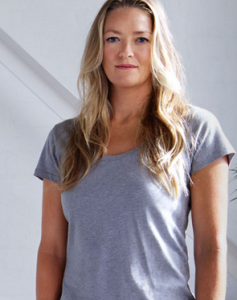 Bec is the Executive Producer of Force Majeure (a dance theatre company based at Carriageworks in Sydney). A graduate of NIDA (National Institute of Dramatic Art), she has over 15 years experience working within the performing arts sector as a stage manager, company manager, programmer and producer. Prior to Force Majeure Bec was the inaugural Creative Producer at Darwin Festival (2009/10) and Company Stage Manager with Bangarra Dance Theatre (2007‐09). Career highlights include touring to over 50 towns and cities across Australia and to France, UK, America and Canada. In 2016 Bec will relocate to the United States and take up a Masters in International Cultural Diplomacy at the University of Westminster. Natalie Cope (BA/LLB (Honours)) is Manager, Partnerships and Development at Asialink Business. In this role Natalie is supporting the delivery of the organisation’s Australian Federal Government mandate to create an Asia capable workforce through the delivery of world class capability programs, applied research and advocacy focused on Australia’s engagement with Asia. Natalie was recently named Australia’s Top Emerging Leader receiving the 2015 Emerging Leaders MBA Scholarship by the University of Sydney Business School and The Australian Financial Review’s BOSS Magazine. Natalie is Ambassador to the Westpac Bi-Centennial Foundation, Asian Exchange Program and is a founding member and non-executive director of the Australia-China Youth Dialogue. Prior to her time with Asialink Business, Natalie practised as a litigation lawyer with DLA Piper, before which she worked in Beijing as a trainee lawyer with one of China’s premier law firms. Natalie has lived, travelled and worked in China and the region and is a strong supporter of the benefits of exchange, herself having participated in study programs in China, HK, Malaysia, Italy, Mexico and the U.S. In her spare time you’ll find Natalie surfing her local breaks on Sydney’s northern beaches, swimming with dolphins and trying to maintain her Chinese and Spanish language skills. Al played Rugby Union for the Wallabies and Waratahs from 1999 to 2011 and at the time of his retirement was Australia’s most capped test prop after having played in two World Cups (Australia 2003 and France 2007) and two Super Rugby grand finals in 2005 and 2008. Before beginning his career as a rugby player, Al completed degrees in both Architecture and Science at the University of Sydney and while playing rugby worked part-time with the national architecture firm Cox Architecture. During this time Al also sat on the board of the Rugby Union Players Association and was a Principal of the sustainability engagement firm Sustainable Forward. 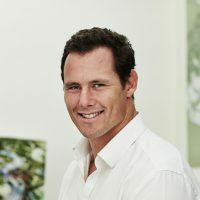 Since retiring from rugby at the end of 2011, Al has continued his work as an architect in Sydney focusing on sustainability, long span and sports projects and has taken on roles as a Director on the board of Waratahs Rugby, as a Trustee on the Sydney Living Museums Trust and Director on the Historic Houses Trust Foundation Board. Al recently accepted a position at the international sports architecture firm Populous and lives in Sydney with his wife and 3 young boys where, when not working as an architect, attempts to coach his 3 sons’ junior rugby teams! Dr Navras Jaat Aafreedi is an Indo-Judaic Studies Scholar and a Social Activist, employed as Assistant Professor in the School of Humanities & Social Sciences, Gautam Buddha University, Greater NOIDA, India. He is also the Founder and Secretary of the Society for Social Regeneration & Equity (SSRE), an NGO dedicated to the promotion of peace and interfaith amity through dialogue and understanding. 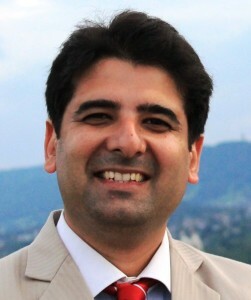 He sits on the editorial boards of the refereed journals Journal of Indo-Judaic Studies and The Social Ion, on the review board of the Journal of South Asian Studies, and on the international advisory board of the Asian Jewish Life and the Jerusalem Press Club. Faith Gonsalves works with the conceptualisation, planning and program management of arts and media projects for social development focused on at-risk children, and training and capacity building of young people, NGO functionaries and others. 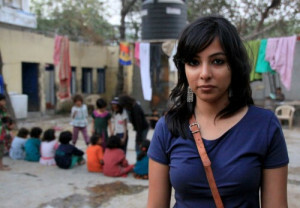 She is also the Founder of the Delhi based “Music Basti” project, part of the registered non-profit organisation Integrated Development Education Association (IDEA) that she manages. Set up in 2008, Music Basti connects at-risk children, youth and artists, with the aim to inspire growth and a sense of community through a creative and joyful music learning experience. It seeks to promote opportunities in education through the principles of active participation, life skills building and leadership development. These are also part of an effort tocontribute to the evidence base guiding the importance of music related interventions and programs and their health related outcomes at-risk children and adolescent populations in India. Faith also enjoys writing, travelling, singing and cooking! Aneesh is a multi-award winning professional photographer with over 6 years of extensive experience in lifestyle, fashion and travel photography. He shoots everything from food to people all over the world. These include Johhnie Walker, Dom Pérignon, BBC Good Food, Vanity Fair, Lonely Planet, GQ, CN Traveller, Silver Kris, Times of India & Hindustan Times. His professional assignments and personal interest in travel as well as wine led him to understand and experience firsthand the vast world of wine consumption around the world and the up coming industry in India. 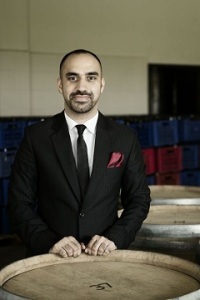 Having met with various wine makers and enthusiasts in the country his keen understanding of the potential for the Indian wine industry and it’s need to engage with it’s consumers in a hard liquor dominated market made him realise the potential for a platform such as the Indian Wine List.